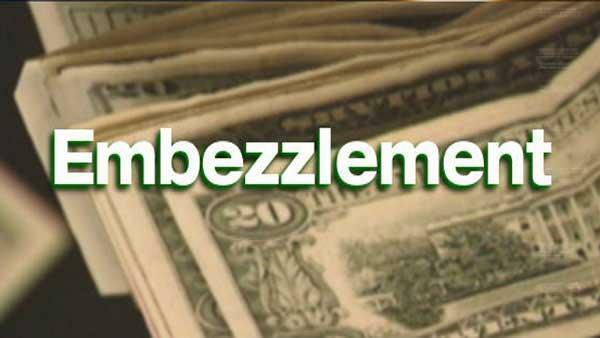 Charged or investigated for embezzlement in Macomb County? A felony record and jail can be avoided! Employee working with an outsider and failing to scan items at the point of checkout. Bookkeeper that uses company credit card or checks for personal use. Removing merchandise or material from the work premises or construction site while employed. Purchasing agent that over orders goods, computers, supplies and sells the property to outsiders or on-line (Craig’s List, Ebay). This extensive analysis is based upon our firm’s experience in handling embezzlement crimes throughout Macomb County, especially in the 37th District Court (Warren, Centerline), 38th District Court (Eastpointe), 39th District Court (Roseville, Fraser), 40th District Court (St. Clair Shores), 41-A District Court (Shelby Township, Utica, Macomb Township, Sterling Heights), 41-B District Court (Clinton Township, Harrison Township, Mount Clemens), 42-1 District Court (Romeo, Washington Township) and 42-2 District Court (New Baltimore, Chesterfield Township). Once we are retained for an embezzlement case, our Macomb County criminal defense lawyers will attempt to identify the underlying cause or reason for the person’s risky behavior and make recommendations accordingly. For the most part, our clients that engage in embezzlement do not have any prior serious criminal record. The vast majority of our clients are conservative with traditional family values and lifestyles. In other words, they do not fit the typical profile of a criminal. I can say that a number of the clients that we have represented that are charged with embezzlement made bad decisions merely because of opportunity. Other reasons include substance abuse, financial distress, psychological issues, adverse reaction to medications or other hardship such as a divorce or death of a loved one. *Fine may be up to 3 times value of embezzled property. The embezzlement activities come to an abrupt halt when the employer discovers a paper trail of excessive inappropriate transactions and the suspected party is confronted by the police or employment security department. By the time we are retained, our clients have already faced termination of employment and may have been interviewed by the police without our involvement. I can say that many clients have expressed relief in this scenario. They explain that are just tired of being stressed and worried about being caught. They also understand that they have engaged in a cycle of repetitive destructive conduct that was not likely to end without some legal intervention. Now, the client is faced with certain criminal prosecution and will need a lawyer. Fortunately, there are many ways that an embezzlement case can be resolved. Consider this: Most of our clients that are faced with embezzlement can avoid jail and a felony record! * The prosecutor may opt to bunch multiple incidents of embezzlement for a single charge or seek multiple separate charges for each incident and obtain a complaint or indictment with several charges/counts based upon each incident. Our publications are based upon our personal experience as criminal defense lawyers. For more information about embezzlement, restitution, plea bargaining, sentencing or other areas of criminal law, please review our website and other blogs published by ABDO LAW.